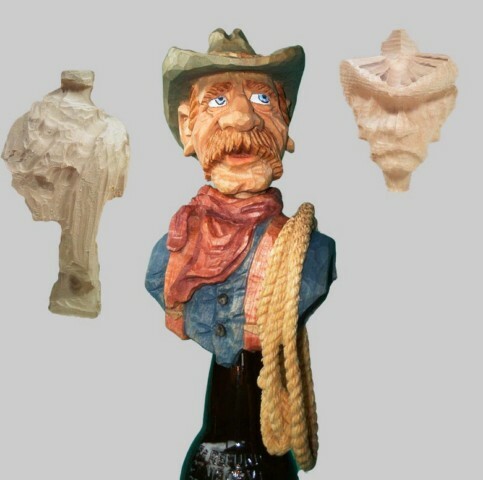 Cowboy with Lasso Bottlestopper Roughout 4 x 3 x 11 inch. Includes finished piece photos (four sides) step-by-step carving photos and pattern. Also includes Head Roughout Torso Roughout and Cork.